STANA AND NATHAN. . HD Wallpaper and background images in the Nathan Fillion & Stana Katic club tagged: stana katic nathan fillion photoshoot stanathan. 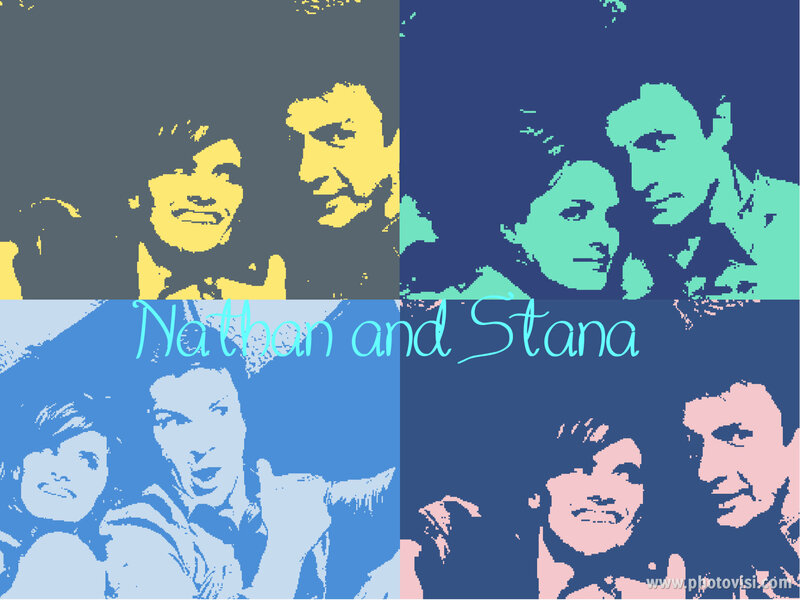 This Nathan Fillion & Stana Katic wallpaper contains anime, komik, manga, and kartun.